Ukraine: Solidarity with Ruslan Kotsaba! Stop the renewed trial! 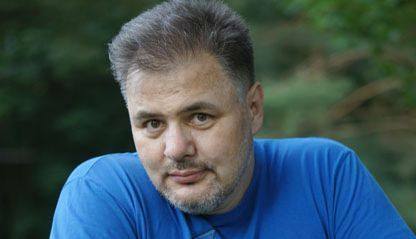 Demand with us the immediate confirmation of Ruslan Kotsaba’s initial acquittal! (12.02.2018) Journalist and conscientious objector Ruslan Kotsaba stands trial again in Dolyna on 19 February 2018. He is known for his pacifist appeals against the war in Eastern Ukraine. He also called for a boycott of illegal mobilisation for the so called 'anti-terrorist operation' in Ukraine. Ruslan Kotsaba was arrested in February 2015 and was sentenced to three and a half years imprisonment for obstruction of the Ukrainian armed forces. After only 524 days of pretrial detention he was released by the court of appeal in July 2016. The country's High Specialized Court of Ukraine for Civil and Criminal Cases decided on 1 June 2017 that the case would have to be reopened. The first court in charge in Bohorodchany declared itself to be biased, probably because of international pressure. Now the court in Dolyna is in charge of the case. Update 20 February 2018: The court sent the charges to the public prosecutor in Ivano-Frankivsk on application of Ruslan's lawyer. The indictment has not yet met the rules of the code of criminal procedure, so we await the continuance of the proceedings. Ruslan Kotsaba is still free and awaiting the upcoming proceedings. He is thankful for the international support.We will keep you updated.